Let’s face it, being in charge of kids whether as a parent or teacher is busy. In order to prep anything (a fun activity, dinner, your bathroom break) you need easy activities that kids can have fun doing all by themselves. 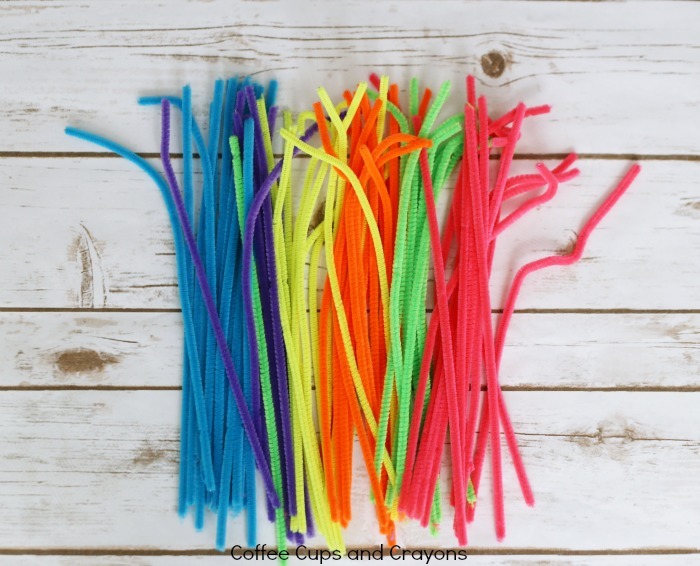 Sometimes that activity is a busy bag, sometimes it’s an art project, sometimes it’s a boredom buster…sometimes it’s all three like this pipe cleaner STEAM activity! STEAM (science, technology, engineering, art and math) activities are a great way to encourage creative thinking skills. 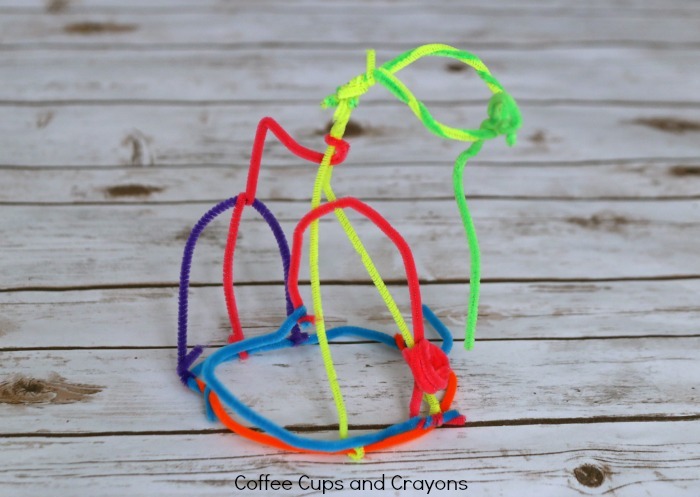 This simple pipe cleaner sculpture activity can be set up in minutes and is a great way to encourage open-ended exploration. When kids are given a chance to explore new materials and take risks they become problem solvers and innovators. 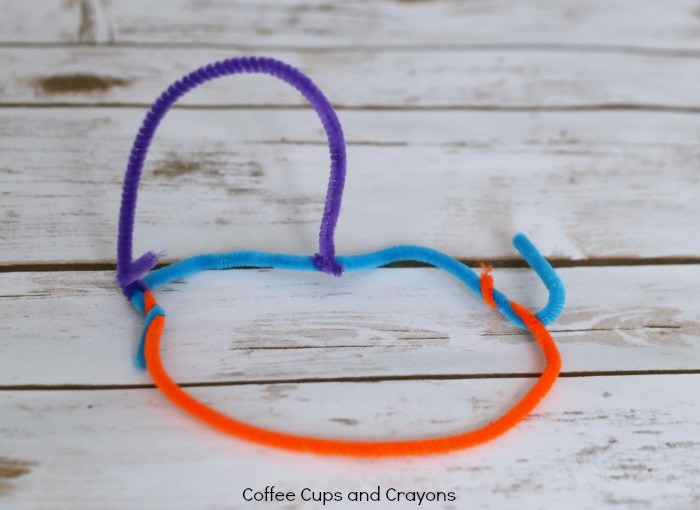 And all you need to develop critical thinking is a handful of pipe cleaners! Sign up for our free newsletter today, just click here! This busy bag is the ultimate in no-prep. Once you have a bunch of pipe cleaners you are all set. 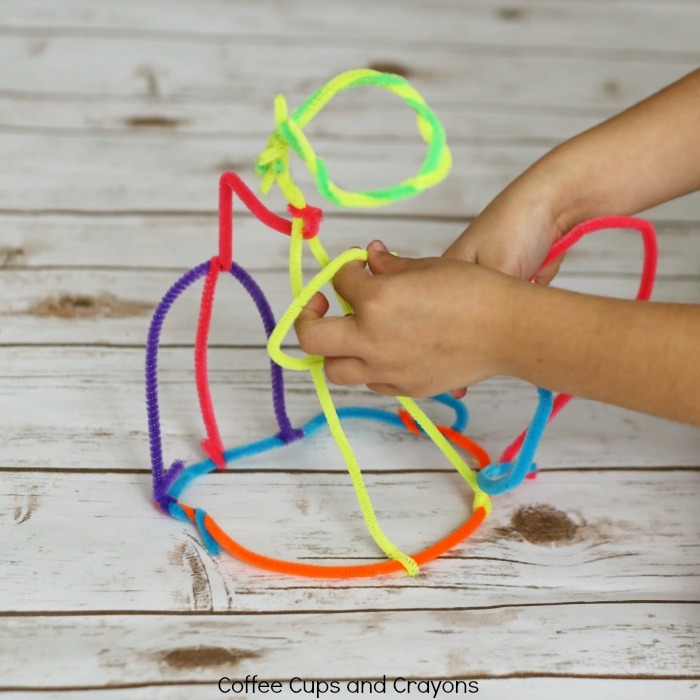 Kids play by bending and twisting the pipe cleaners to create shapes. They can hook these shapes together to create a sculpture made from pipe cleaners. As they create they are giving their brains a work out! One simple sculpture puts the concepts of cause and effect, engineering, art, geometry and more into action for kids. Add to that the fact that all you need are a bag of pipe cleaners (that you can find at the Dollar Store) and you have a parenting win on your hands. 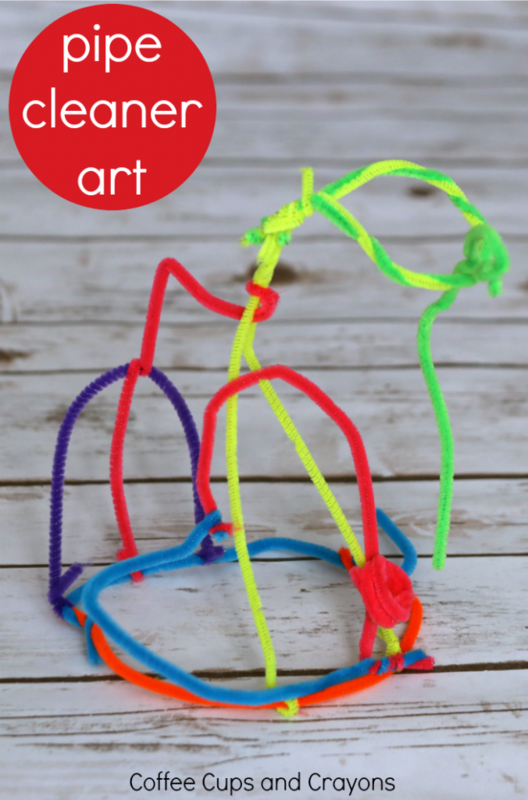 There is no end to the different types of sculptures kids can create with pipe cleaners. This a great busy bag to keep in the car for doctor appointments or restaurants. Just store the pipe cleaners in the bag when finished and they’re ready to play with again another day. If you love playing and learning with busy bags as much as we do then you’ll LOVE our ebook! 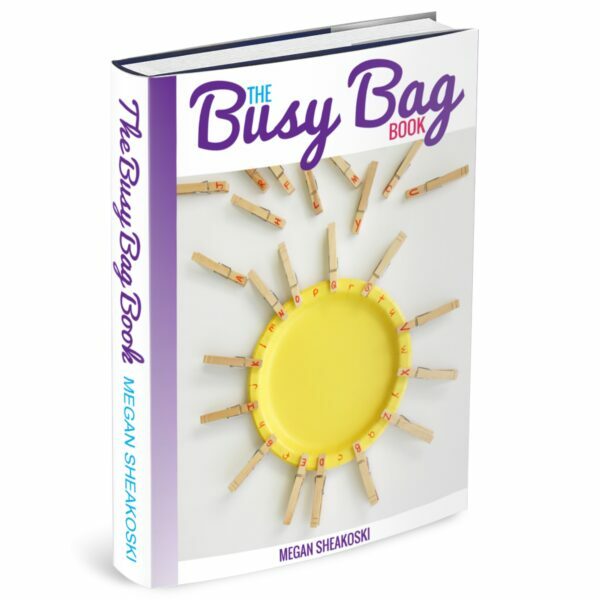 The Busy Bag Book is jam-packed with busy bag activities kids can play with all by themselves while you do something else. You need this book!